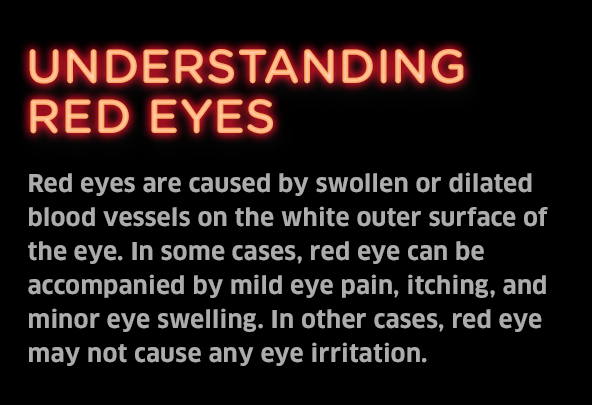 Red eyes are caused by swollen or dilated blood vessels on the white outer surface of the eye. In some cases, red eye can be accompanied by mild eye pain, itching, and minor eye swelling. In other cases, red eye may not cause any eye irritation. taking a break from screen-watching. Try the 20-20-20 Rule. Look away from your screen every 20 minutes and stare at something 20 feet in front of you for 20 seconds.